For the final time this season, the Cowichan Piggies played a men’s First Division rugby game against the Port Alberni Black Sheep last weekend, and finished with the upper hand. The Black Sheep mounted a second-half comeback on their home pitch last Saturday, but a late penalty kick by Owen Wood gave the Piggies a 32-29 victory. The Piggies went up to Alberni with 16 players, a significant improvement from their previous road game, which Wright had to suit up for. 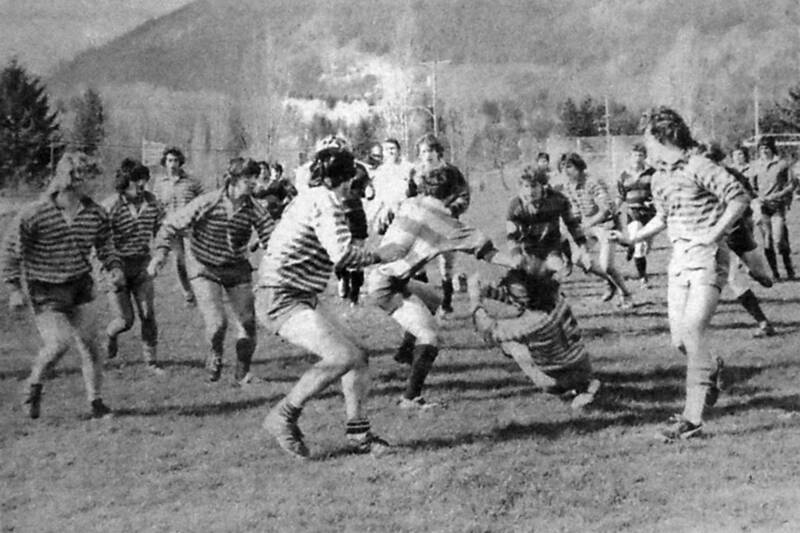 It started well as Cowichan was awarded a penalty try in the first seven minutes. Not long after, Danny Hamstra intercepted a pass and went over the line for an unconverted try. “It was pretty cool, but not close enough to the posts for Owen,” Wright commented. Alberni was assessed a yellow card later in the first half, and the Piggies capitalized to the tune of two more tries, as Louis Gudmundseth touched down and Hamstra added his second of the game. Back at full strength, the Black Sheep came on strong and finished the half with a try in the corner, making it 24-5. “When they got their guy back on, it was a bit of a battle,” Wright said. The Black Sheep picked up right where they left off with another try to open the second half. Another yellow card to the home team led to the teams swapping tries, with Ty Benson responsible for Cowichan’s. Alberni picked up the pace at that point. “They could smell the comeback,” Wright said. Two more converted tries by the home team knotted the score at 29-29, but the Piggies didn’t back down. The Piggies were awarded a penalty kick that an exhausted Wood managed to slot from pretty far out, and Cowichan finished the game with the ball in hand. With a roster that leaned toward the young side, Wright was pleased to have the veteran presence of the Gudmundseth brothers, Louis and Andrew, in the centres. The Piggies will host Abbotsford this Saturday at 1 p.m. for a long-awaited makeup game and their final home test of the season, then visit the Surrey Bears to close out the campaign on April 13.